I had to smile when I saw my sister-in-laws pile of recipe cards. I was visiting for Christmas 2014 and we were discussing what to make for that day's main meal. An inveterate baker with a wonderful repertoire of home-cooked recipes, Mary was passing over dog-eared recipe cards trying to find something new that appealed more to her. 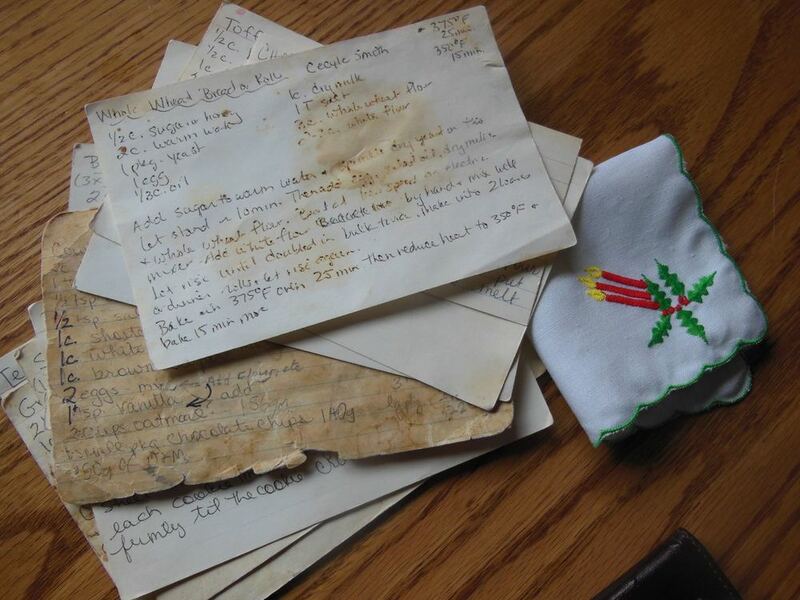 While she was preoccupied, I took the opportunity to snap a few pictures of the most well-loved recipe cards. No need to read them, their wear is proof enough that they are among favorites! How do you decide what recipes to try?